It looks like Alia had a working birthday by the day and a happening one by the night. Alia Bhatt's 25th birthday celebrations were complete with a delicious looking cake, the birthday song and a special guest. Neetu Kapoor (Ranbir Kapoor's mother) dropped by the Brahmastra sets in Bulgaria and joined Alia for the birthday festivities on Thursday. Ranbir and Alia are currently shooting for the first part of the trilogy to be directed by Ayan Mukerji, who was also (of course) part of the celebrations. Alia shared glimpses of her birthday celebrations on Instagram and for her photo with Ayan, she wrote: "Director by day, party planner by night.. best friend for life." It looks like Alia had a working birthday by the day and a happening one by the night. Here are some more shared by Neetu Kapoor. "Evening with some lovely beautiful people," she wrote. 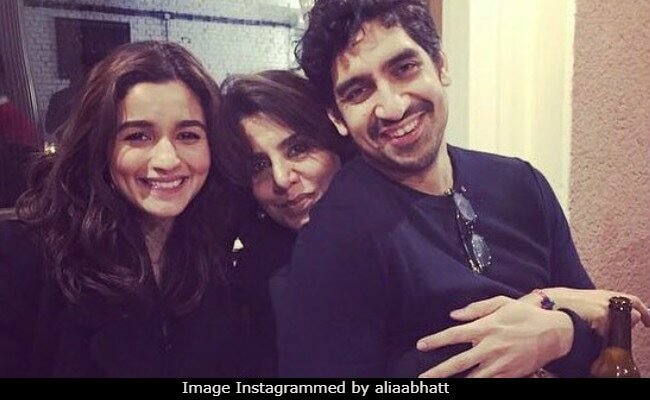 On Thursday, social media was flooded with birthday wishes and blessings for Alia Bhatt when her parents and friends dug out adorable throwback memories of the actress. On Friday, Alia thanked her well-wishers as said: "Thank you so much for all the birthday love. You guys make every day feel so special... thank you! I am forever grateful and hope I never disappoint you. And I hope you liked the stills we shared from Raazi.. this is just the beginning.. can't wait to share the rest." Alia had shared these new still from Meghna Gulzar's Raazi on her birthday and also an adorable video from when she was a baby. Alia Bhatt will next be seen in Raazi, in which she co-stars with Vicky Kauhal. After Brahmastra, Alia will also be filming Zoya Akhtar's Gully Boy, also starring Ranveer Singh. The first part of Brahmastra, which also stars Amitabh Bachchan, is expected to release next year.